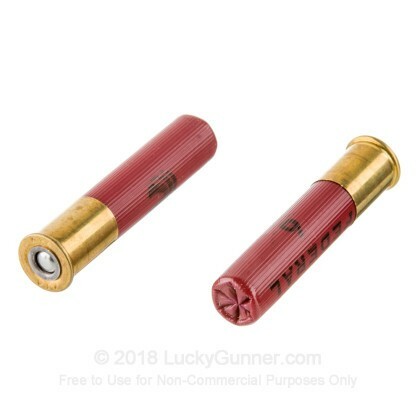 Federal's Hi Brass Game Shok line of shotshells are an ideal load for hunting anything from upland birds to small game such as rabbits. 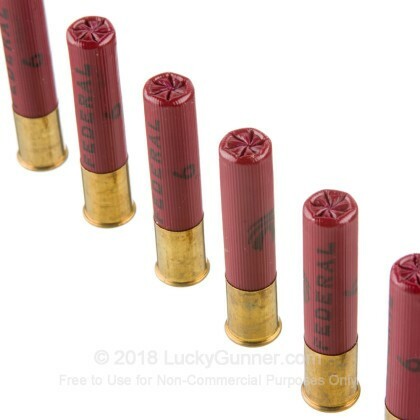 Federal Ammunition, owned by ATK, was started in 1922 in Anoka, Minnesota and has since its founding built a reputation for quality that can be counted on. 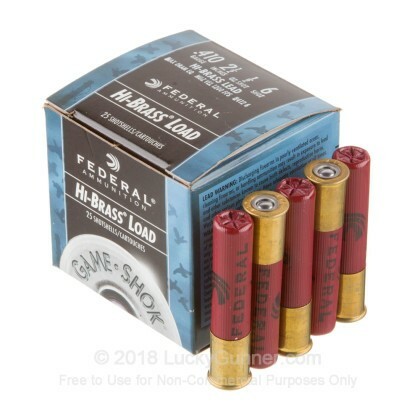 We don't have any reviews yet for this particular 410 Gauge ammo from Federal. 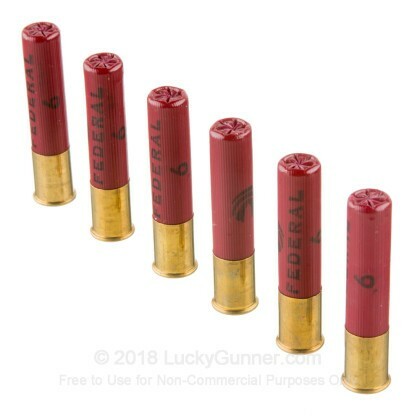 If you'd like to be the first to review this particular 410 Gauge ammo from Federal, fill out the form below. 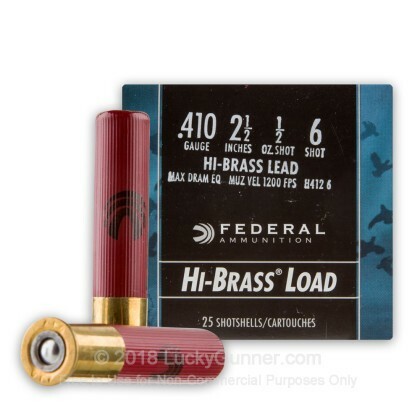 We also have this 410 Bore - 2-1/2" Lead Shot Game Load - 1/2 oz. 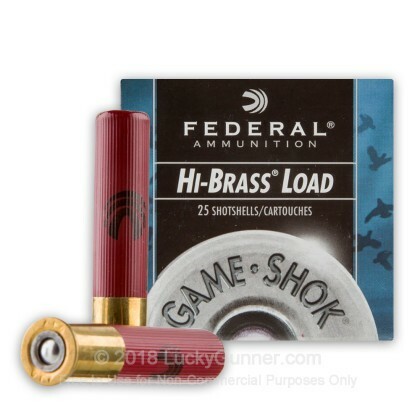 - #6 - Federal Game Shok - 25 Rounds ammo in stock in a smaller quantity.